Hello, I’m Jim Glover, That Branding Guy, for Once a Day Marketing™. On our radio show That Branding Guy™, we discussed branding and marketing with a new business. Joining us on the show was John Cole – Founder of MuezBiz.com, an online community for musicians and music enthusiasts to make money. Anyone can become a member retailer and/or publisher at no cost and sell music, merchandise and even general seating tickets on the site. 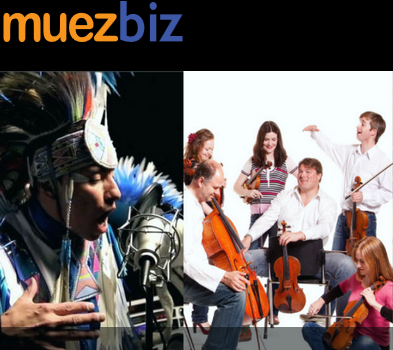 MuezBiz enable artists to share/sell their music without a having tremendous budget. Members define up to 12 stores that are genre specific (e.g., rock, jazz, blues, etc.). As a social site, MuezBiz displays ads to users that recommend local music retailers. John is a musician himself and the idea for MuezBiz evolved as he noticed tools that companies such as Amazon were introducing to enable easy purchasing for customers. Glover encouraged John to share the story behind the brand of how MuezBiz can empower musicians. The target market for MuezBiz is music lovers. Glover reminded John he should not try to be all things to all people. Tailoring marketing campaigns to a more narrowly focused customer type would be a great place to start and expand as time goes on. To get the message out about MuezBiz, John is coordinating with local music stores to have workshops about the community. Glover recommended that he perfect his workshop and share via Skype to reach a wider audient. That Branding Guys also shared a strategy to contact online influencers to gain attention for MuezBiz.